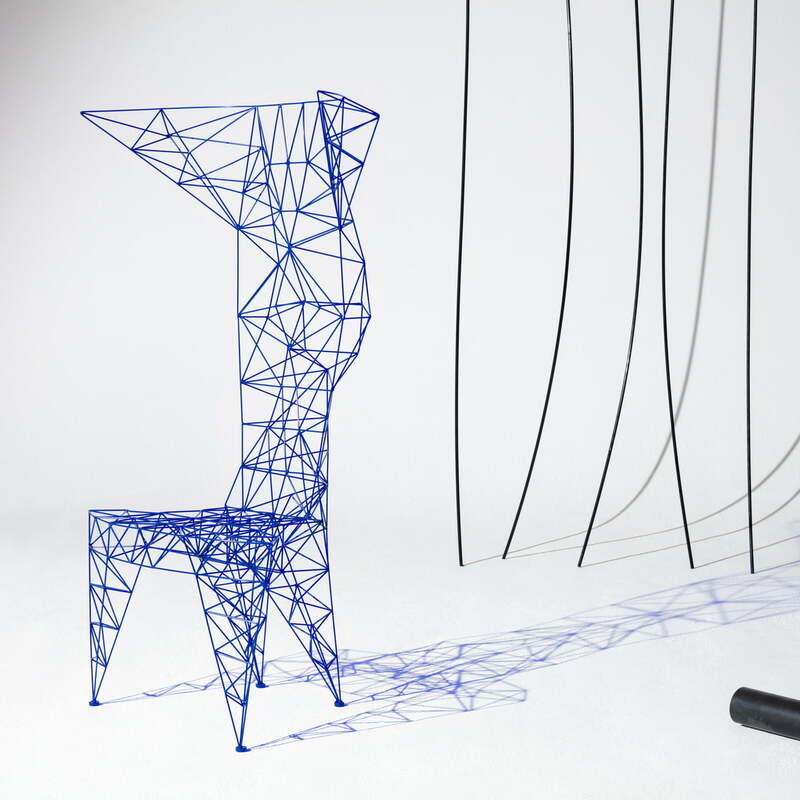 Having originally been created as a self-propelled mission to design the world’s lightest chair, the Pylon chair was the result of Dixon's avant-gardist experiments with steel in the 90s. 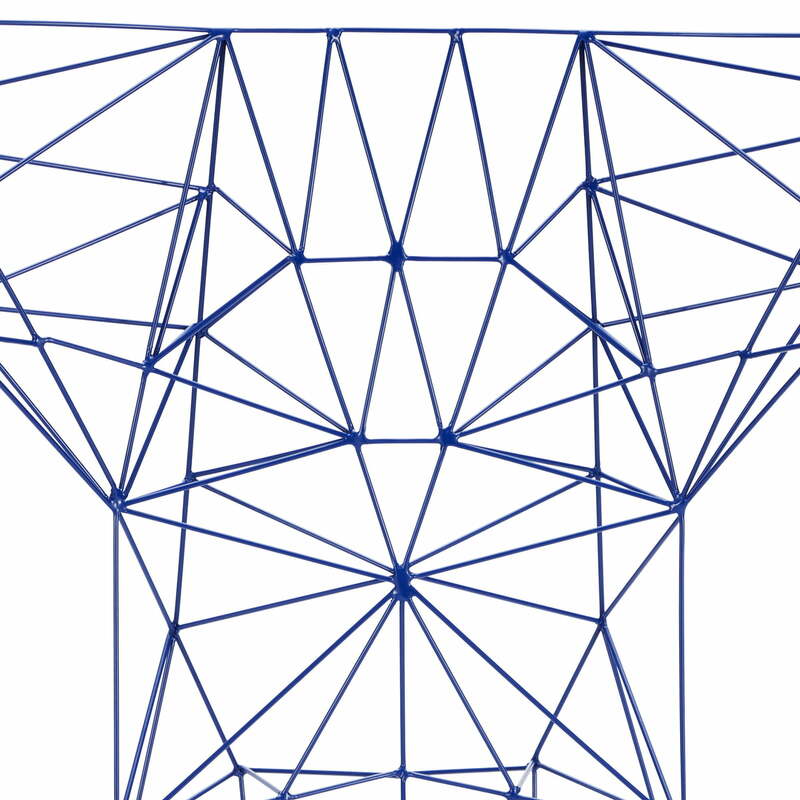 Pylon was part of the Cappelini collection for 20 years and now - it is coming back as Dixon’s characteristic design. 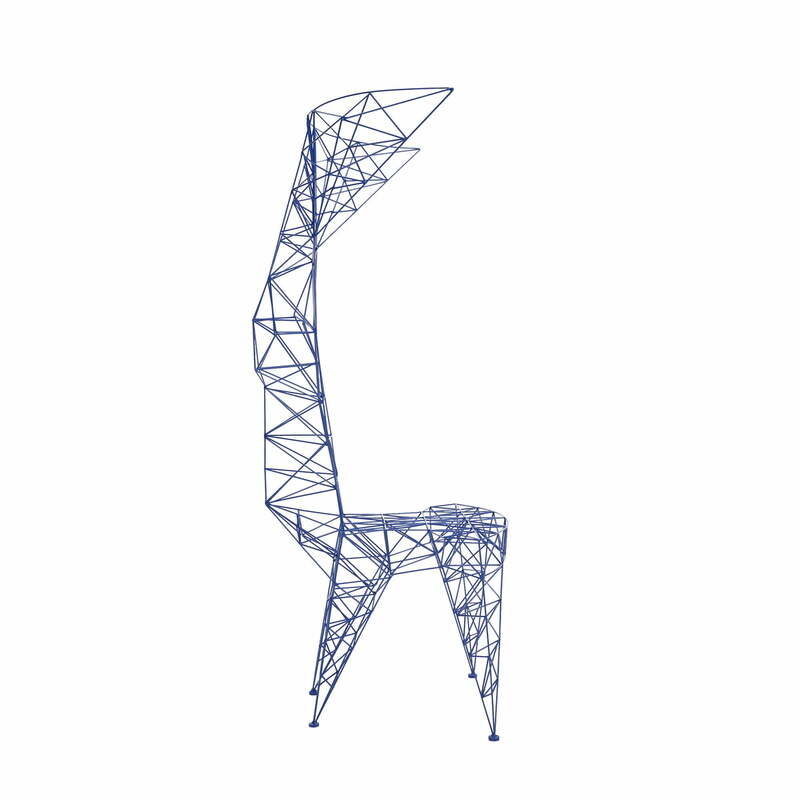 Despite its light and fragile appearance, the 3 mm rods are welded together in a triangular form to provide enough strength for anyone to take a seat. 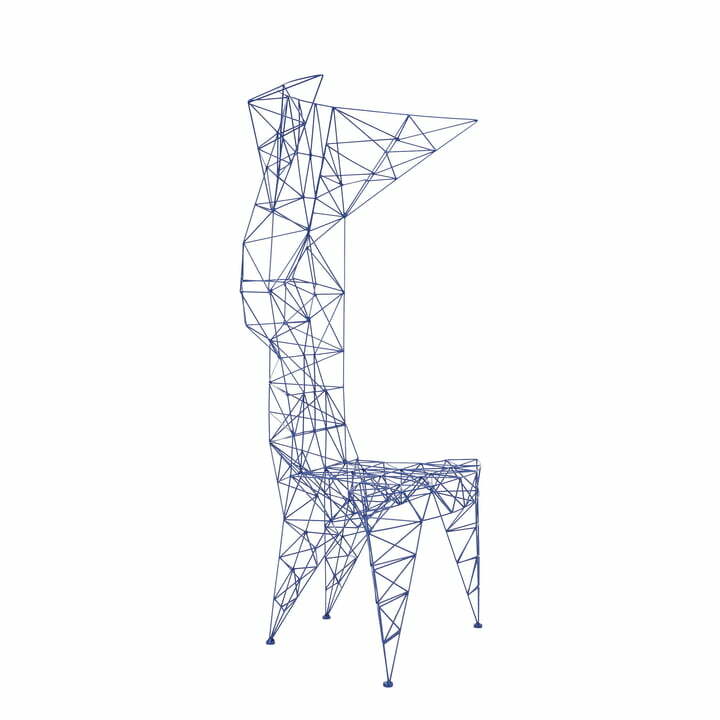 Tom Dixon once again demonstrated his love for unusual forms and experimental designs with this sculptural piece of furniture. 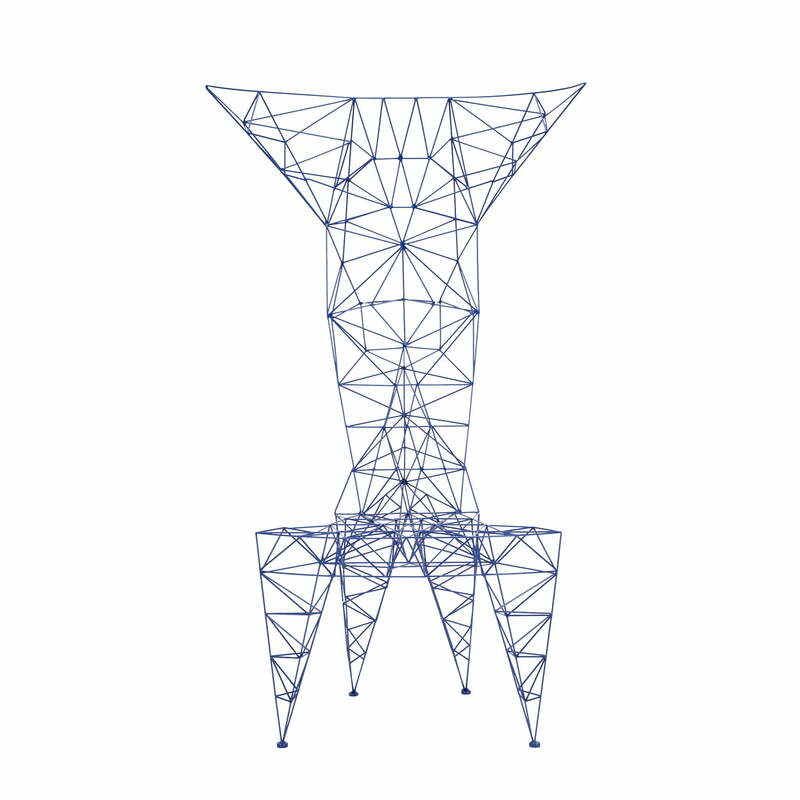 The Pylon Chair, designed in 1992, was the lightest steel chair of its time and can now be found in prestigious museums all over the world. 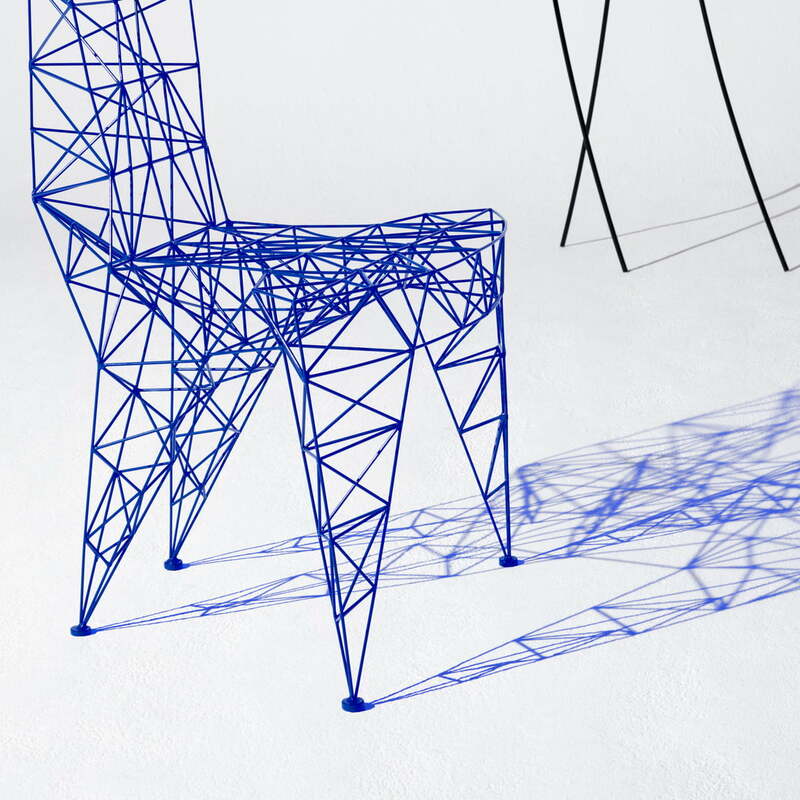 The Pylon chair is made of steel rods and is available in various finishes. 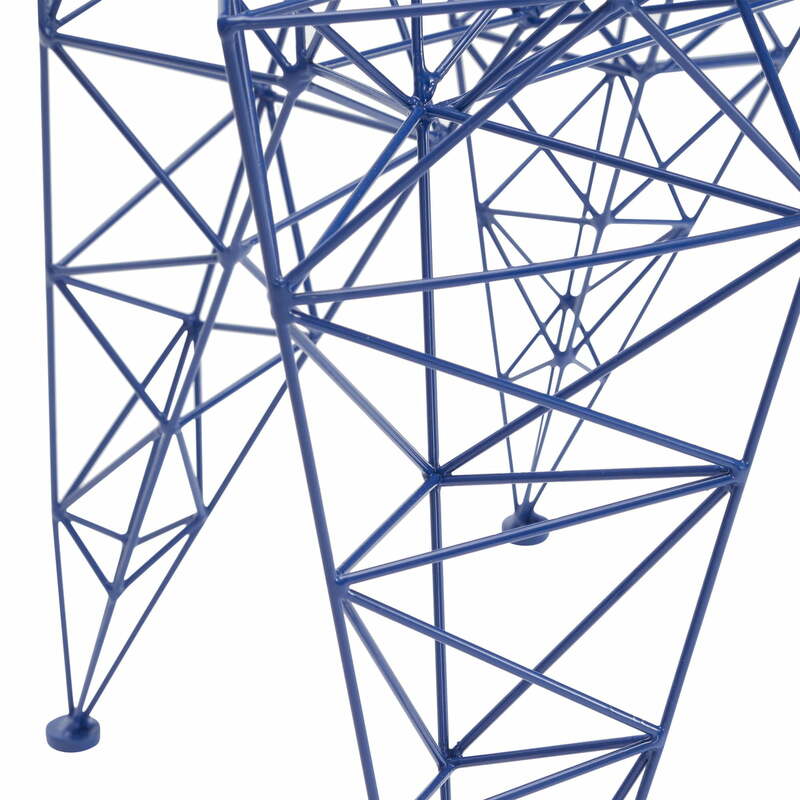 Detail product image of the Pylon chair by Tom Dixon in blue. The Chair was designed by Tom Dixon in 1992 and consists of a steel construction made from skillful metalwork. 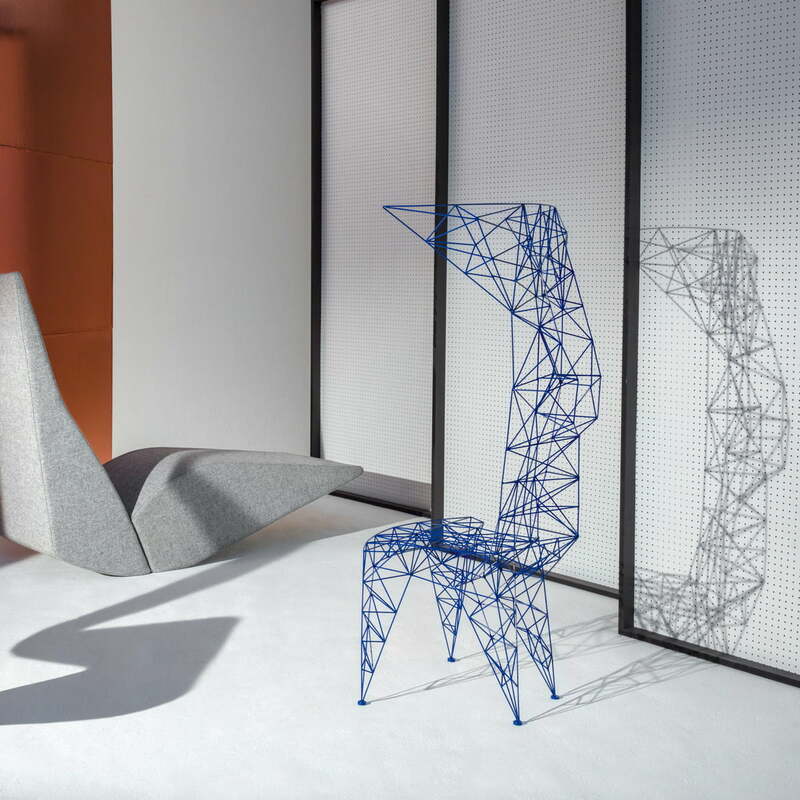 Group product image of the Pylon chair, the Bird chaise longue and the S-Chair. 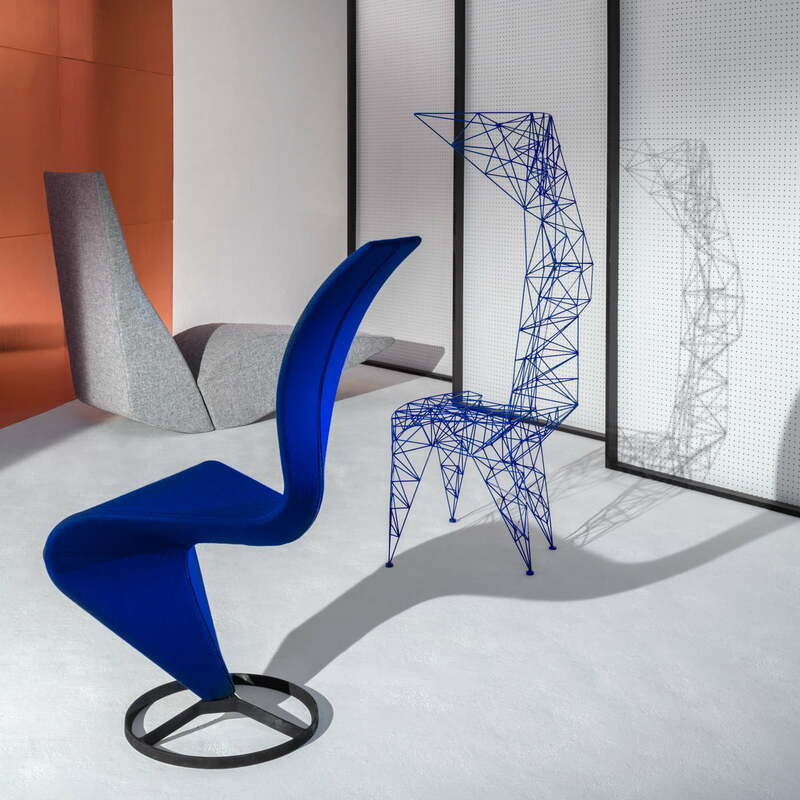 All three chairs were designed by Tom Dixon and are classic design pieces of the last century.